We love fall in western Michigan: The air is crisp, the temperatures are cool (but not too cool) and the leaves are changing. 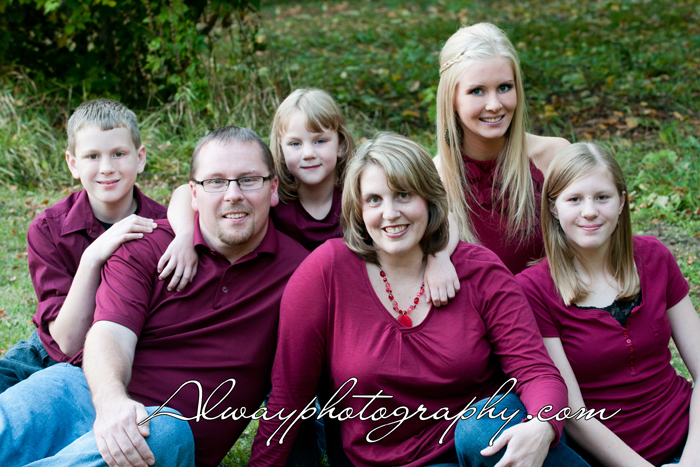 It’s also the perfect season for family photography. Tonight, we had a great time photographing the Maynier family in their woodsy backyard in Pere Marquette Township, south of Ludington.